After first reporting news earlier today that the DROID 4 would be out next Friday, February 10 for the Star Wars: Episode 1 3D premier, we now have a confirmation on price. 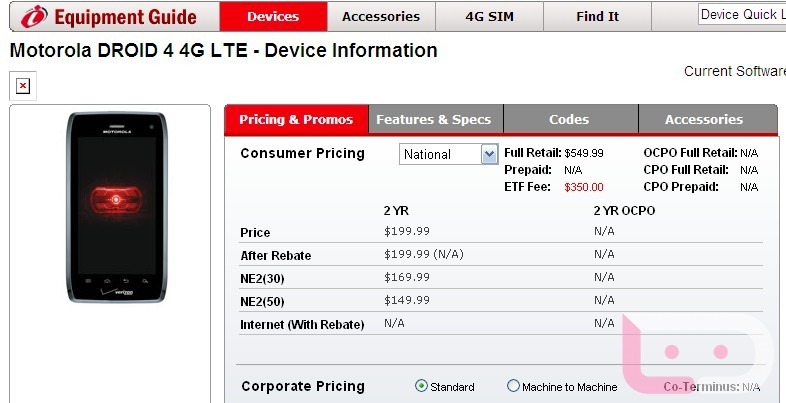 Our sources told us $199 a week or so ago – that price is now confirmed in Verizon’s own system. We also have the full retail price of $549, making this one of the more affordable LTE devices on the market today. Is this the 4G LTE slider that you cannot live without?